Prezentare It's Little Frog's first autumn, and she doesn't like it one bit. It is not the green world she loves so much, but something scarier and ominous, filled with red and gold and yellow. And noise WHIRRRRR. CHIRRRR. BAROOOOOOM. But encouraged by her Mama, who reminds her that "Most things that are scary are just new," Little Frog bravely sets out into this world. When her courage waivers, she starts to run and soon is lost, miserably lost. She finds her way to Papa Frog and he shows her what Mama Frog means. something all three of them knew well. 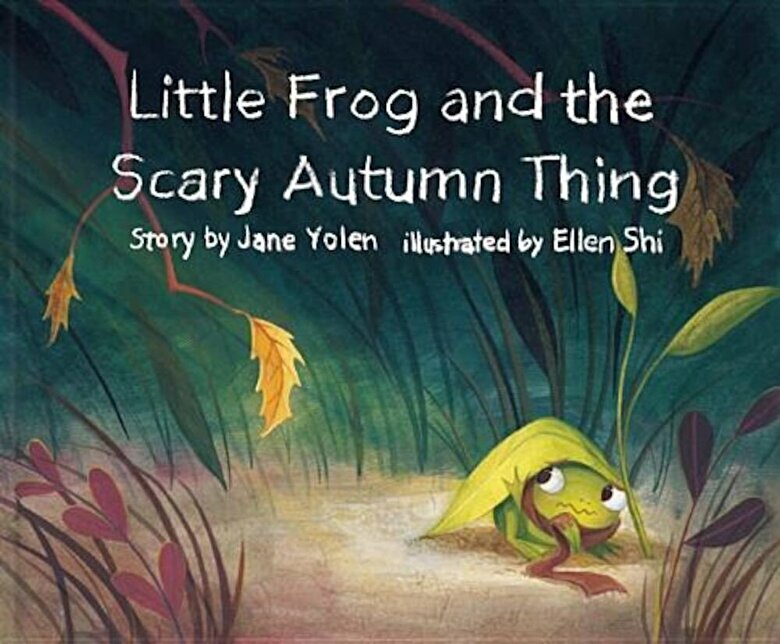 This charmer of a story is by multi-award winning author Jane Yolen, author of Owl Moon and the How Do Dinosaurs books. The wonderful autumn palette and adorable pictures are by newcomer Ellen Shi, who is not afraid of trying something new herself.